When you think of any superhero you immediately imagine their theme being played by an orchestra of instruments as they come into view, with trumpets and drums and an accented crash every now and then. The same cannot be said, however, when ERock finds his way to it. “331ERock”, also known as ERock, is a Youtuber that adds his heavy metal influenced musical touch to almost every and any relevant tune from popular culture. From Game of Thrones, Star Wars and even The Fresh Prince of Bellair, to the likes of Beethoven’s Moonlight Sonata (3rd Movement), the man can ‘metalify’ almost any melody and tune. It must be said that when I refer to ‘heavy metal’ I am not talking about unkept guys screaming lyrics that no one understands or a bunch of angry kids with spikes everywhere sacrificing theme tunes around a fire (these are totally bad generalisations and misconceptions of “metal heads”). Rather, especially when referring to 331ERock, I am referring to a musician who has some incredible musical skill that simply fits into the genre that is heavy metal. 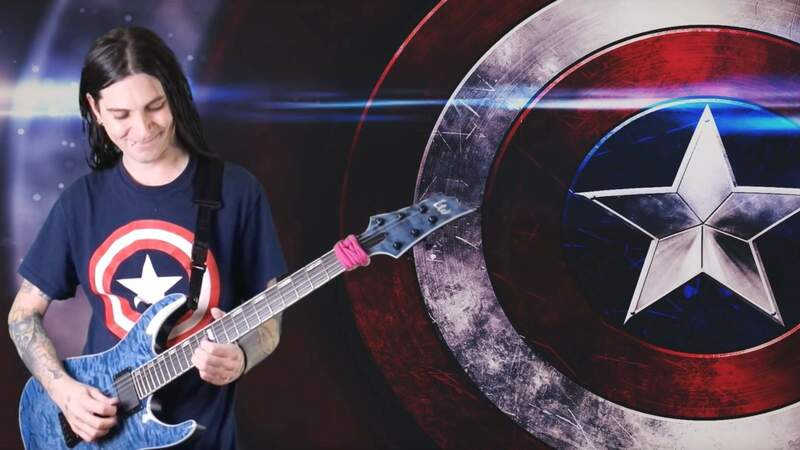 With long ‘kept’ hair, some sick tattoos and a guitar any musician would kill to have, 331ERock is back with an excellent heavy metal cover of Captain America’s opening theme from Marvel’s Captain America: The First Avenger (2011). 331ERock’s video is definitely something to check out and have a listen to, even if heavy metal is not your “thing” – I find that it is always refreshing to listen to almost any cover, as long as it is done well… and it really is in this case. Be sure to check out 331ERock on YouTube and have a listen to some of his other covers. You will not be disappointed.